A foggy night here at Langara. 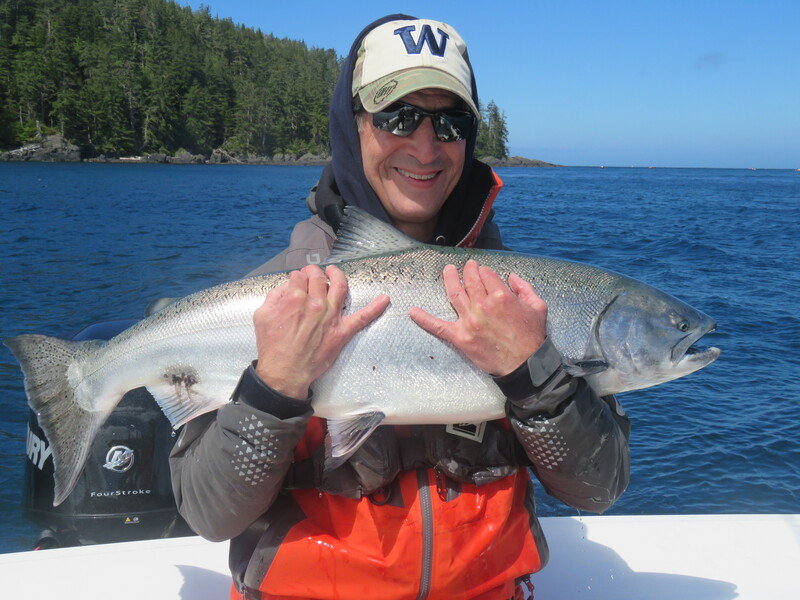 I just sat down after my fishing day to update you all on the latest at Langara. We have just completed our sixth trip of the season. 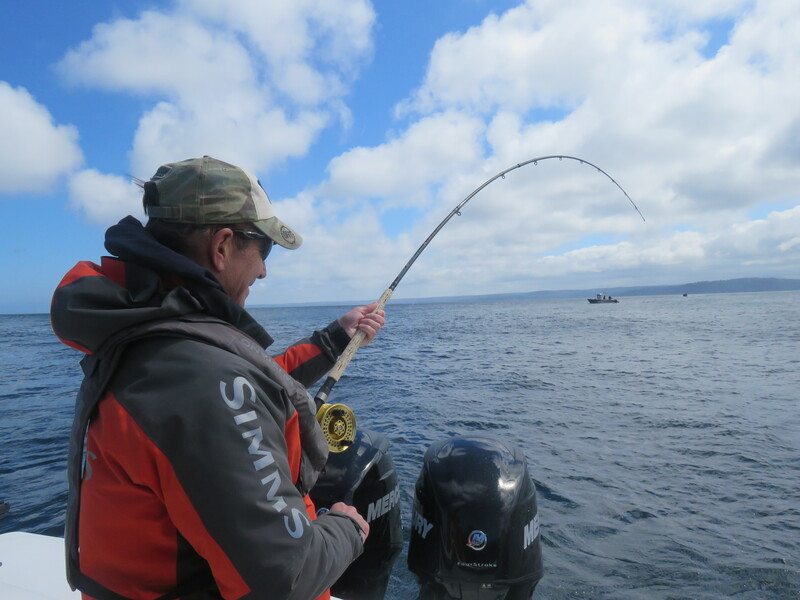 Again we battled hard to catch our chinook and halibut, as we did contend with one day of wind. That said, we also had a spectacular sunny day as well, see picture below! 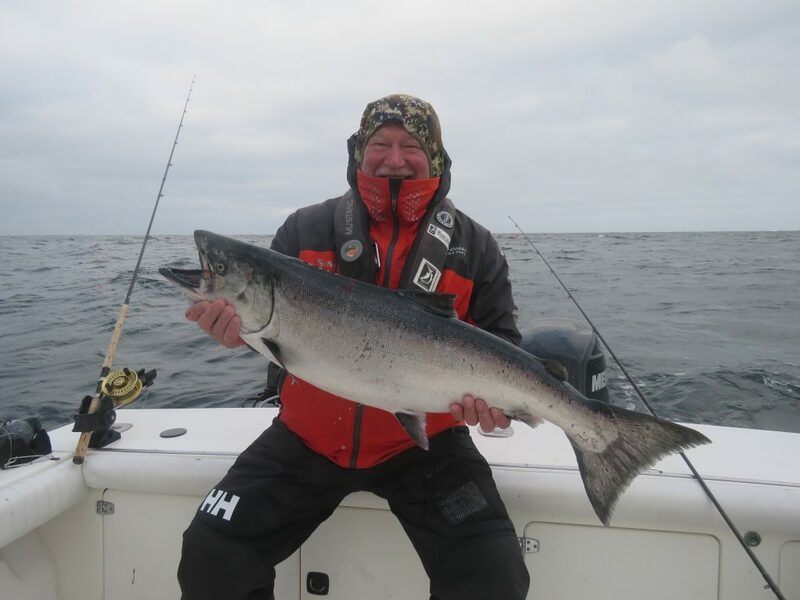 A happy Marty playing a 28 lb chinook. 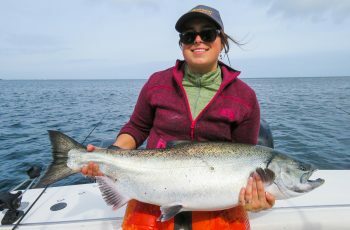 Fishing for chinook continues to be a grinding experience. 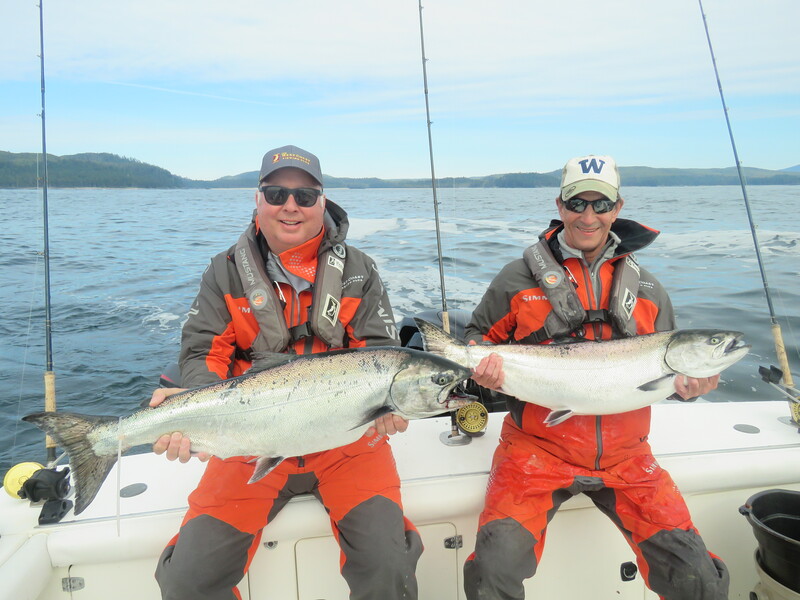 We are hitting pockets of fish on the west side, and scattered decent chinook on the east side. 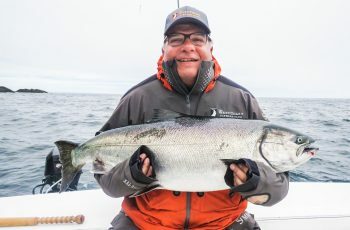 Below is a photo of Marty Bentrott, group leader with Boeing, with a very nice 28 lb chinook we released out at Cohoe Point. 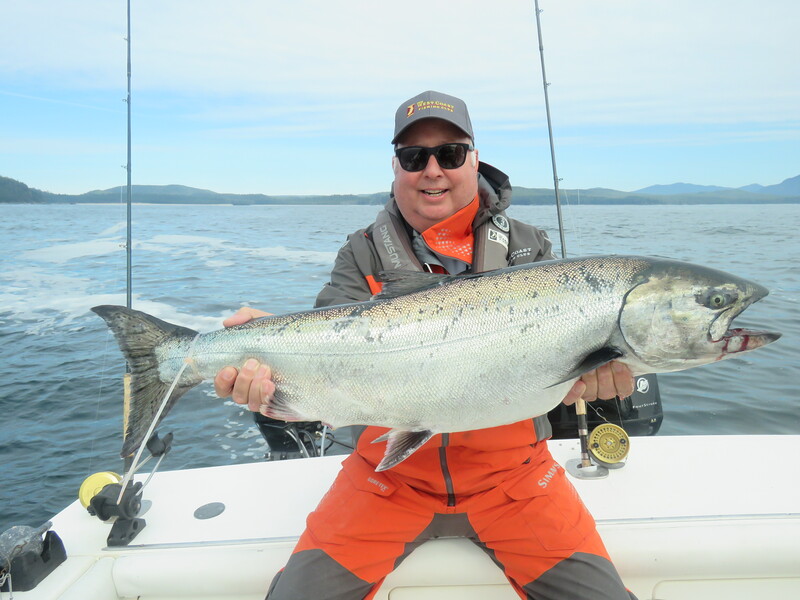 Marty and his 28 lb chinook spectacular weather day. We grabbed this fish, fishing tight in at the fallen tree, 19 pulls with a tasty cut plug herring. Nice to grab a fish local to the lodge in the old hot spot. 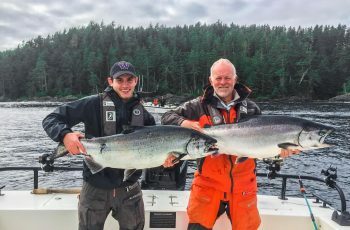 On the west side we had a busy day Friday, with a couple of our boats doing well for chinook. Again here are a couple pictures of the Boeing guests, first up Vladimir, with a nice low twenties chinook. A proud Vladimir and his low twenties chinook. Chris and Marty from Boeing. A proud Chris holding his chinook out, and off haha well played! 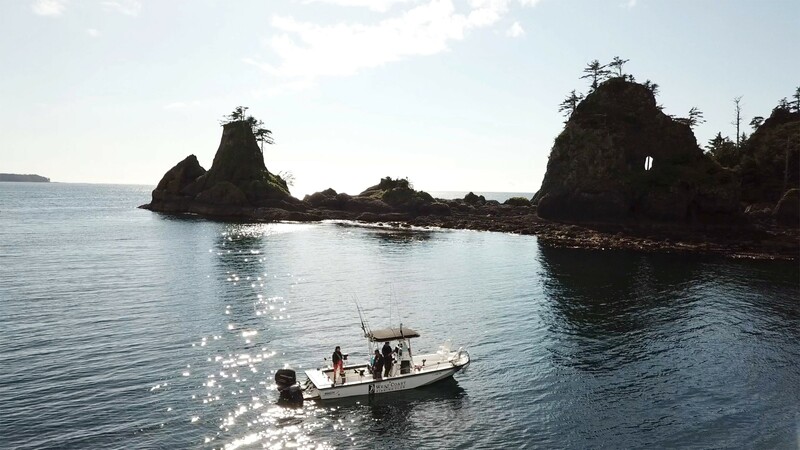 On Saturday the fleet fished together, and it was more of a halibut bite than anything. All boats recorded strong chickens trolling for chinook. Must have been hali school in session. Below is a picture of Marty and Chris with a couple troll caught halis, 28 lbs and 19 lbs. 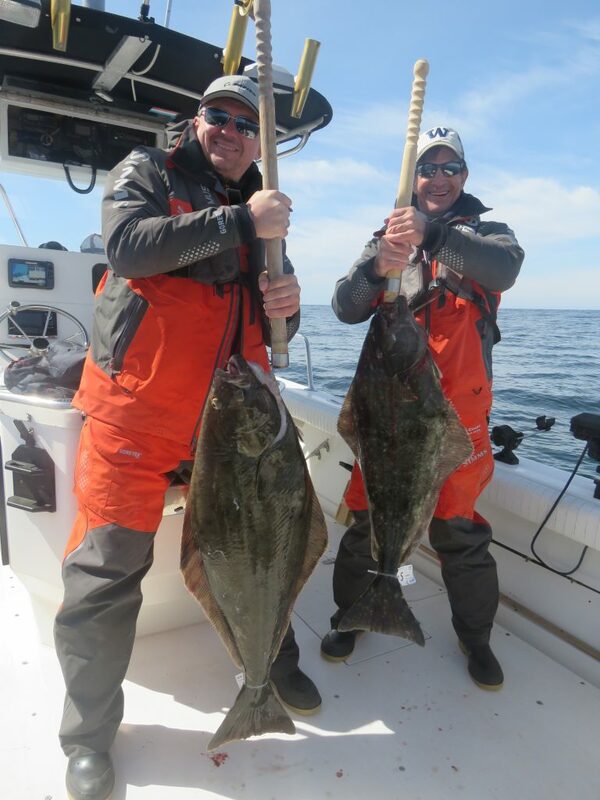 Chris and Marty on the troll caught halibut! Jordie was hooting and hollering all morning, as was Owen. They love strong chickens and were catching them easily. The salmon were slow, easy come easy go. Bud grabbed a twenty I noticed for the Nelson’s. I think Brent snuck a 21 in for the Boeing boys, but it was slow. 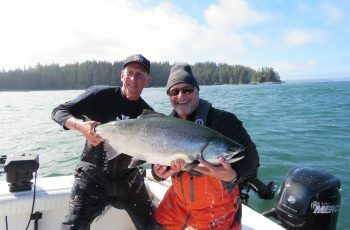 I found out late in the shift a 33 lb tyee was grabbed by Leon and his guests, on the West Bank. That was the fish of the trip. Marty & Vladimir from Boeing and his twenty lb’er. Today’s fishing was poor in my skiff overall. 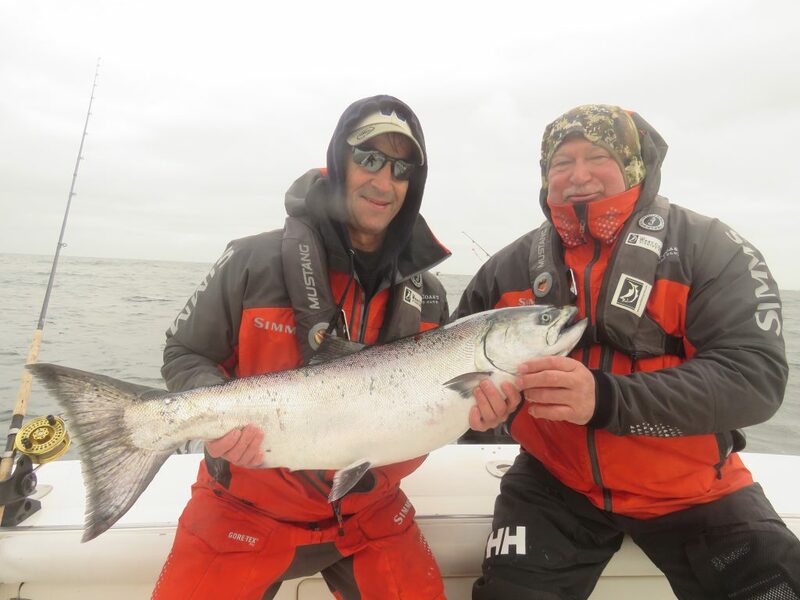 That said, Nate managed a 27 lb fish for chinook of the day. The fog and fog wind kept us on the east side. We worked very hard for the chinook that were retained. 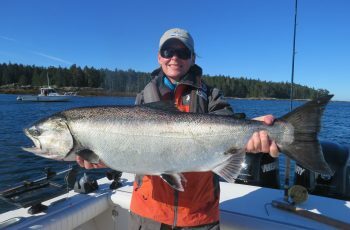 Oh, just in, Evan found a 18 lb chinook in Bruin Bay. Scattered chinook is the best way to put it. One boat catching, another not so much. The positive sign is the weather has improved, there is sun under that fog! The bait is showing up now, so we will see what tomorrow brings. Again, thank you for checking in and stay tuned. 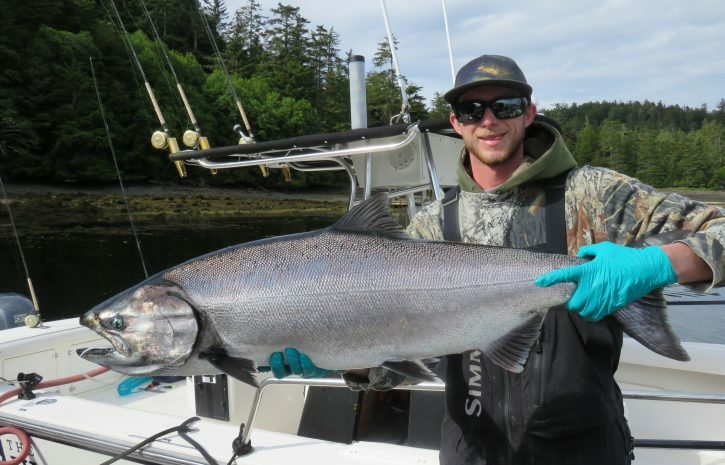 Korey Fletcher in boat 6 arrives on Thursday, the spring salmon have been put on notice. Great trip from the Boeing team. Our guests had a awesome time! A long way from Russia and Kazakhstan. Thanks to the Westcoast team for a very memorable experience!